Question: If you receive a box arriving at your house with a beautiful engraving but has no return address or knowledge of who dropped it off, would you open it? Not knowing what's inside. I know I would because I'm just nosey like that. So if it's a Pandora's Box, whether what's inside is good or bad. I'm getting it. Because my curiosity will almost always get the best of me. Basically that's what happens here. The temptation and spell coming from Pandora's Box was unavoidable. There was no way that a human like Fallon could resist temptation and opened the box. But what's in the box is something that is completely unexplained. What was inside was pure evil. Evil enough to destroy anyone or anything. While looking for knowledge on how to fight this energy that was released when Pandora's Box was open, Alyssa and her family (clan) became friends with another clan. A werewolf clan. And together they used their knowledge and supernatural powers against this evil energy. Their unity showed that all supernatural members can stand under one roof and fight together rather than each other. But what sacrifice will they have to make, to put an end to all the madness? Katie never fails to captivate me with her work. This book is it's 3rd in series and the series just keeps getting better. Pandora's Box was full of action. But what I liked best is how everyone came together to fight against evil. Though I'm not a fan of how it ended, I know that I can expect another great book in this series. So kudos to Katie for another well written book. 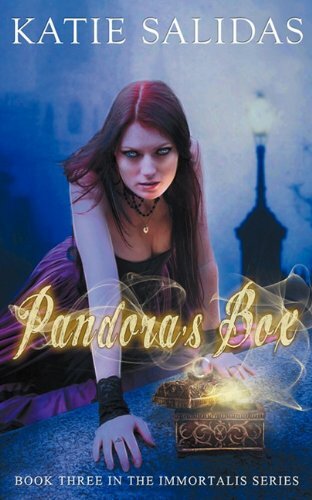 4/5 Stars for Pandora's Box. Another Good Choice for Reading for Katie Salidas. This is her 3rd book and Melliane they are allll good girl! And she has other books with I've read them all and enjoyed them all.